All photos were taken with the following settings. 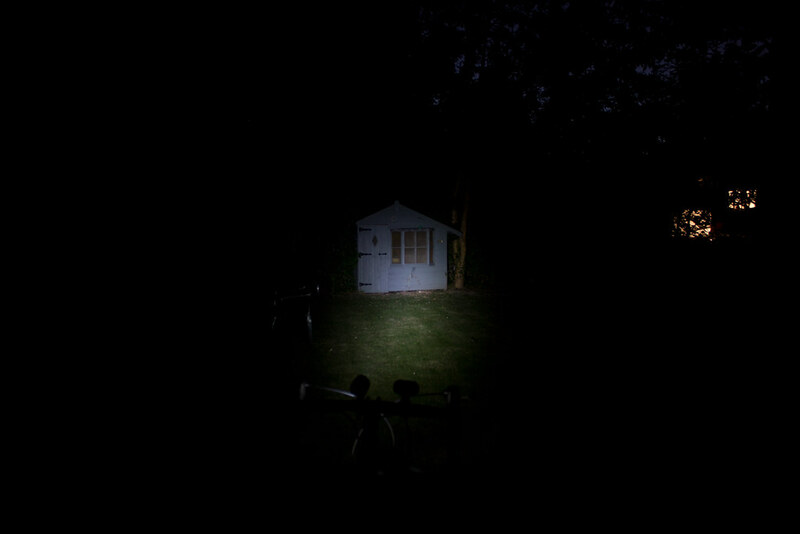 The lights main beam are all pointed to just below the Wendy house and to the right of the chair. The house being around 20ft away, the chair being 10ft away. 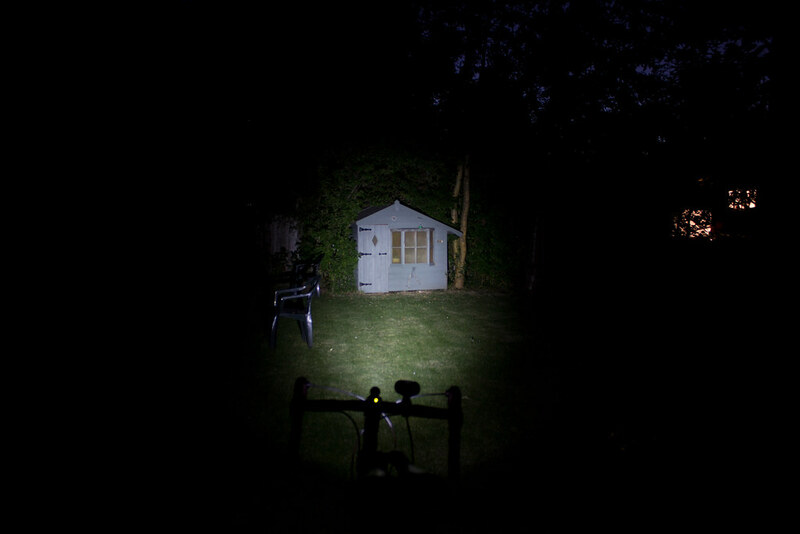 A 1200 lumen rated light made from 8 cree XPG LEDs. A Chinese made light that uses a SSC P7 emitter, note that the emitter can output the claimed 900 lumens but tests show it is more like 500-700 lumens. The Hope Vision 1 outputs 240 Lumens of light and is the only one featured here that runs on AA batteries. This version of the Joystick outputs 325 lumens from a Cree XPG R5 LED emitter. 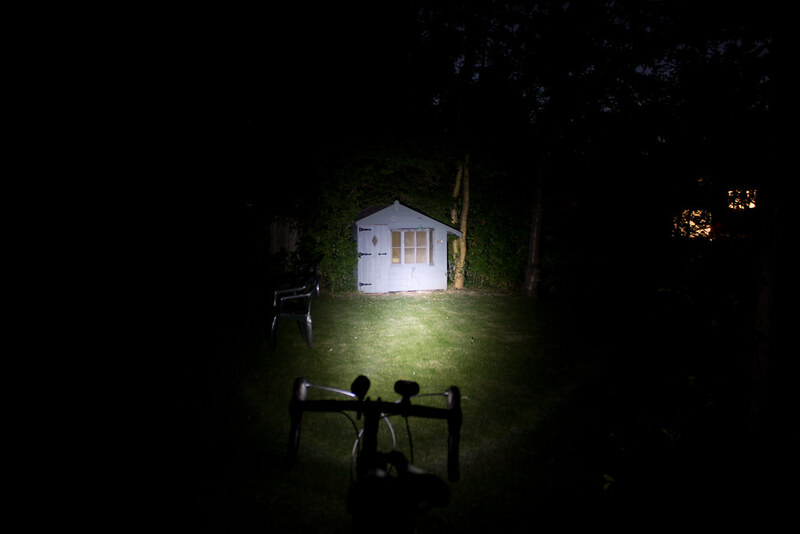 Due to it’s torch like shape, the beam is narrower, it’s designed to be a helmet light rather than handlebar mounted. I have to say that I love my Exposure Race light. Its similar to the Hope but less circular in pattern, more rectangular with good side lighting like the Magicshine. For urban riding this light is all I need for seeing the road surface. I just whack on a cheap Smart for side visibility for others and I’m off. The Race is a bit like having two Joysticks side by side and panned slightly. .
Nicely done. Any chance you can pop the price of the lights under each photo so people can instantly see the brightness for your buck? For road use I would recommend to use a light with cutoff. 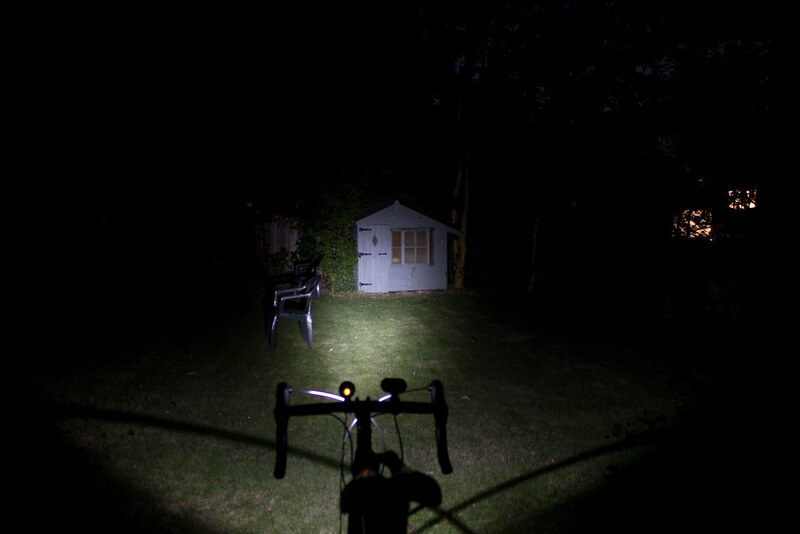 The lights listed above are mountain biking lights which sends a lot of light up which: a: Does no good on road and b: Dazzles oncoming traffic. The output of modern led lights are so high that we can’t claim they are to weak to be able to disturb other traffic. Hence I would advise to look at lights like the Philips saferide bike lights. 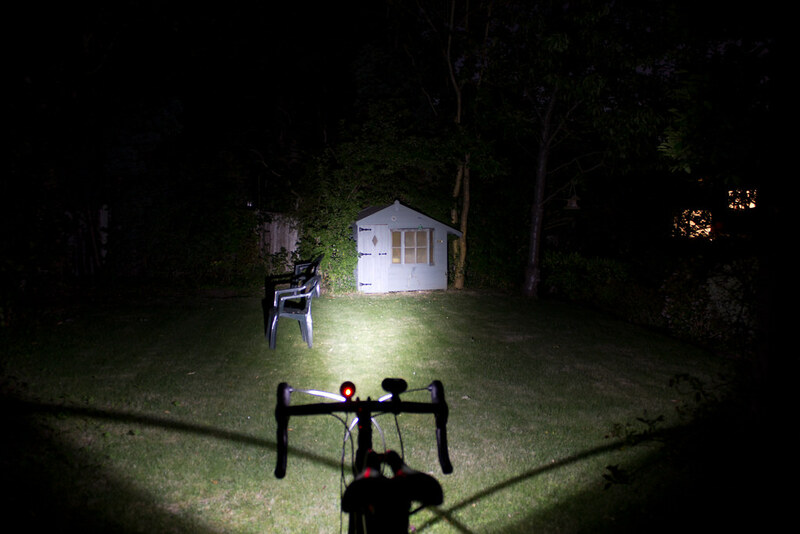 The absolute light output isn’t as high as some of the lights above, but the beam shape is such that as much as possible is used to illuminate the road. The cutoff makes sure that the risk of dazzling oncoming traffic is minimal. The first two models are indeed designed for offroad use and have no cut off. The second two however have very tight beam patterns. It’s possible to use the brighter two on the roads without any issues. You just have to point it much further down and run it on low power. I’ve done this for several years without any issues. I used to do the same, just point the light down. And this works of sorts. The problem with this approach is that it paints the brightest spot of light pretty close to your front wheel, and only the weaker halo reaches further out. 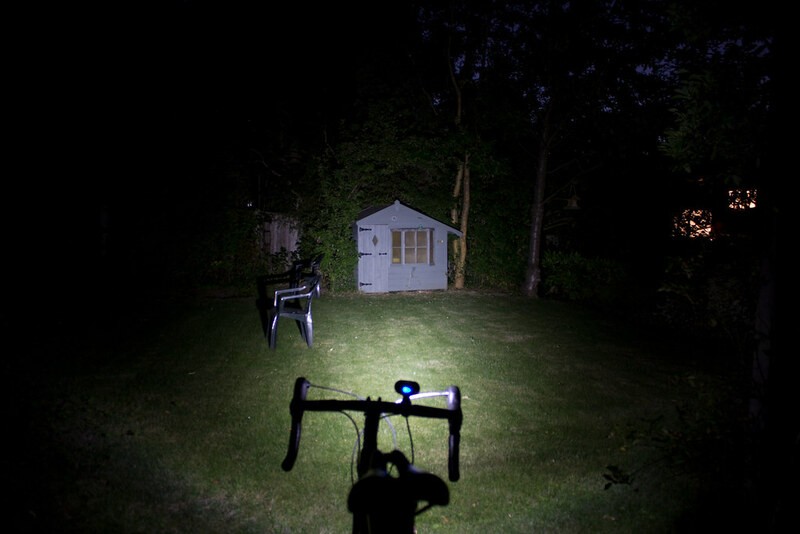 The result is that your night vision adapts to the illumination of the near field, and it gets harder to see further ahead. 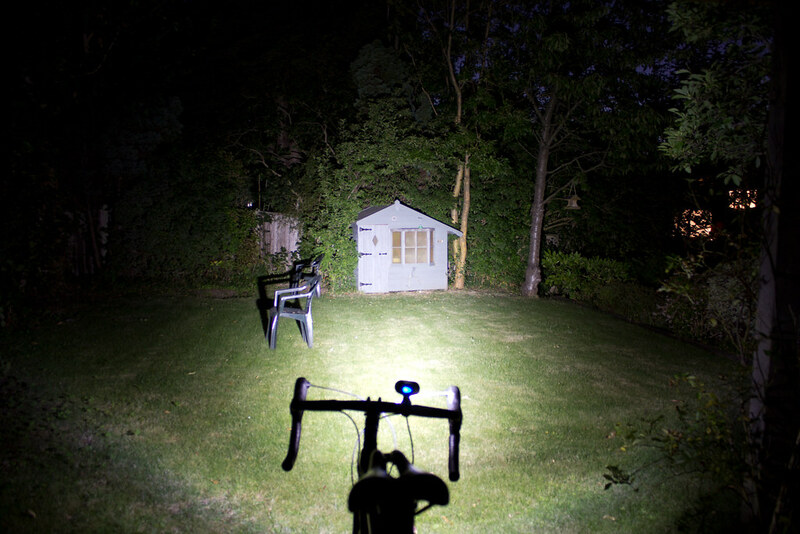 I switched from ay-ups (about 700 lumen) to a philips saferide (250 lumen) and was able to see much further down the road, and I Imagine that I am a much better citizen on the road as well. Germany actually have an approval scheme for bike lights where a cutoff is required. so your the silly wanker on Youtube uploading videos. get off my tax paid roads mate or pay some road tax. 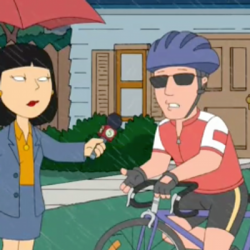 ill make sure to keep an eye out for you as you clearly are incompetent of riding on a path. Your roads? what makes the roads yours? The roads are paid are maintained by the local councils. They get their money from council tax and from the government. Road tax was abolished in 1937 by Winston Churchill. The ‘road tax’ you refer to is Vehicle Excise Duty, a levy based on the emissions your engine makes (pre 2001 vehicles are charged based on the engine size). Cars which emit less than 100g of CO2 per km fall into band A, these vehicles pay nothing. Band A vehicles can be anything, electric cars, hybrids, 1.8L diesel engines. They pay nothing! 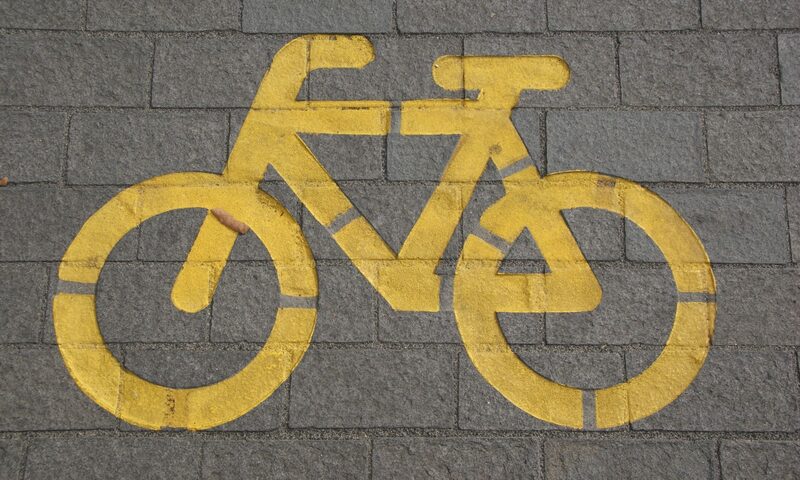 If a bicycle was to be charged under the same scheme, then it will fall under band A. Lets say that it costs £5 to make and distribute each VED disc to each bicycle. We can’t expect the cyclists to pay for them, as the owners of Band A vehicles are not required to pay for theirs. Between 2008 and 2011 just under 14,000,000 bicycles where sold in the UK. That would mean a total cost of £70,000,000 this year to tax those bikes, where is that cost going to be covered? Does your ‘road tax’ cover the cost of motoring? Of course it doesn’t..
Motoring costs per year are £57.7 billion, VED (road tax) raises only £5.5 billion per year. In total, including VED, fuel duty and taxes on cars and parts, the total receipts from motoring are £48.1 Billion. As such your motoring costs are subsidised by the government. It is subsided by everyone that pays income tax, VAT and various other forms of payments that go into the general taxation pot. Most cyclists own a car, we pay the same amount as others for our cars but we leave them on the driveway every now and then. But why? some of us enjoy cycling, so we do it recreationally, others use it to get around places. Some of us use it for commuting, as in a city like London, it is the most efficient, fastest and cheapest form of transportation. If time is money, then i’m going to do my best to save as much time as possible. Riding on the pavement is against the law, and cyclists can be given a fine of £1,000 for it. Riding on the road is perfectly legal. As for calling me a silly wanker, perhaps you should look at yourself before you post such drivel again. As you come across as a right idiot.